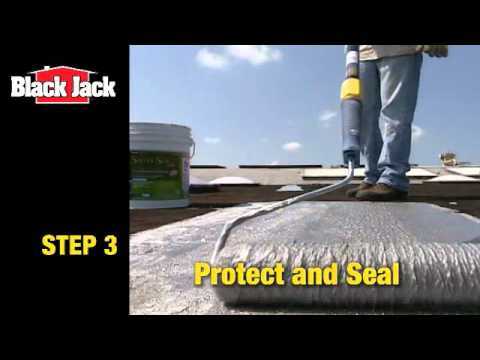 5177-A-34 1 gal 6.75" x 6.75" x 7.75"
5177-A-30 5 gal 12" x 12" x 14.75"
Black Jack® Silver Seal 700 is a premium liquid applied aluminized roof coating. The high content of aluminum pigment forms a brilliant reflective and protective finish to your roof. This will reflect the suns heat and UV rays, which helps energy efficiency and enables to roof life to be extended.